Ndolge welcomes the lastest UK Import. Shipden Yass aka "Brumby" arrived in Australia in October 2009 and will enter the showring in November. Brumby is the long awaited Black and white and we hope he will make an impact on the breeding and showing scene in Australia. Brumby not only has great showing and breeding potential, he has bird sence as well being on the shoot for two seasons and winning the Gamekeepers Cup at Crufts. Brumby is now an Australian Champion with Multiple Best in Groups under Specialist and Australian Judges. We look forward to a great future with this wonderful dog who is now adjusted to the Australian weather. 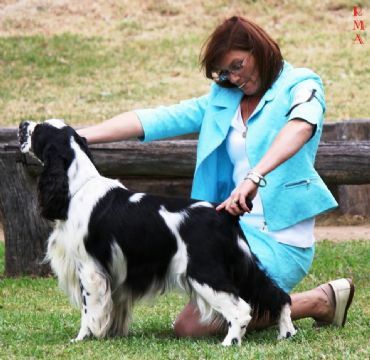 Brumby wins Best in Show at the English Springer Spaniel Association of Queensland Championship Show in July 2013 under Gundog Specialist Mrs Diane O'Neill of Chesterhope Pointers. 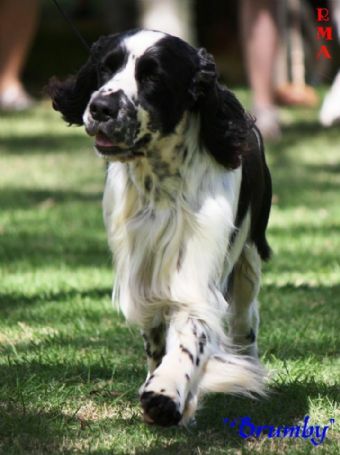 And Reserve Dog Challenge at the 2013 Brisbane Royal. 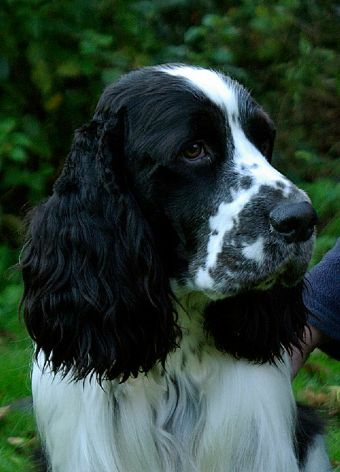 It was with much sadness that we lost Brumby and my best mate to cancer at Christmas 2014 and that was a huge loss to our family and we miss him everyday. We do look forward to watching Brumby's progeny continue to win in the show rings around this country and overseas. In 2015 we were blessed with a Brumby Grandson "Clint" he is the apple of our eyes and has carried on the wonderful temperament that Brumby brought to this country. We look forward to campaigning Clint in the future.